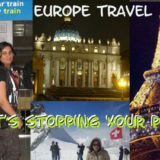 Europe Travel - What's stopping your plan? Europe travel plan is one of the most postponed travel plan in my life. I dreamed about Europe travel since my childhood. The credit for this craze goes to Bollywood movies. Europe has been the favorite romantic shooting location of the Bollywood directors. In 1979, Do Lafzon ki hai dil ki kahani showcased Amitabh Bachchan and Zeenat Aman romancing around the Grand Canal of Venice. However, I didn’t catch the Europe fever with The Great Gambler as I was born in 1988. But things changed with release of yet another Bollywood Blockbuster in 1995. This movie was solely responsible for motivating Europe Tourism in India. Yes, Dilwale Dulhaniya Le Jayenge epitomized the perfect Euro Trip. In the movie, Shah Rukh Khan and Kajol met during a Europe Trip and fell in love. I am aware that the same enthusiasm for Europe travel is prevalent among Americans and Asian people. I was confident that Europe will be my first international destination. But, it was not. I saved enough for an International trip and waited for a perfect holiday. But when the time came, I decided against Europe travel and visited Turkey instead. Why did I postpone my Europe Travel? Did something go wrong with me or is it a common thing to postpone a Euro Trip? I talked to my friends and fellow travelers about their travel plans to Europe. I was shocked that Europe Travel is in bucket list of most of my friends. They have been postponing their Euro Trip year after year. Some of them are waiting for a perfect break from last ten years. Other are planning it for next year since last five years. I found this thing really awkward. I looked for the reasons which make us postpone our Euro Trip. I analysed the pysche which pushed us to postpone Euro Trip. I was happy that I found a workaround for this problem. Thereafter, I planned and executed my Europe Travel last year. So, been there done that! Are you crazy for Europe Trip like me? Have you been planning Euro Trip from a long time? Are you also postponing Europe Trip like me? Then this post has been written to motivate you to take Euro Trip now. 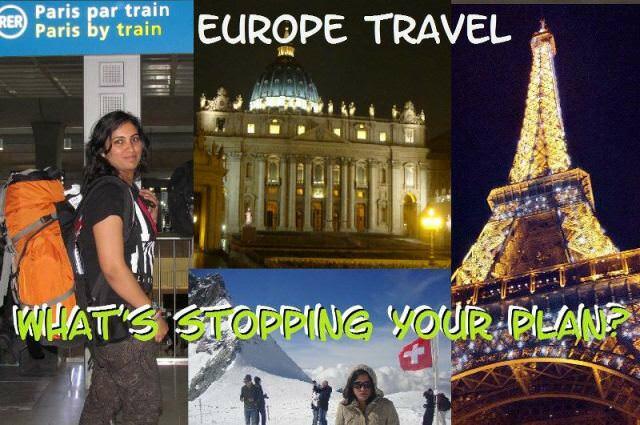 What’s stopping you for Europe Travel? Why we postpone Europe Travel? Netherlands, France, Switzerland, Spain, Germany, Italy, UK, Greece and Poland – the list of Europe Travel is filled with exciting destinations. The countries seem to be so near-by on map that one wishes to visit them all at one go. Also, these countries are well connected by train and buses. On top of that, there is one single Visa required to visit all these countries except U.K. If you are taking the costly return flight from your home country to Europe, you will naturally want to cover more number of countries in one single visit. All seems to be working in favour of the Europe Travel, then why did I postpone my Europe Travel. Let us delve into my example. 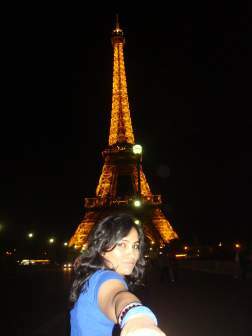 In my case, return flight from India to Paris was costing 1000 USD (63000 INR) for me. Therefore, I wanted to visit at least ten countries on one visit. The list included Italy, Switzerland, France, Netherlands, Spain, Germany, England, Belgium, Poland and Austria. I made an itinerary giving 3 to 5 days to shortlisted destinations in each country. 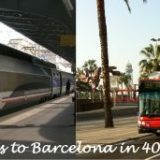 My Europe Travel itinerary ended up being 45 days long including the travelling days. I worked more on it reducing a few days here and there. I optimized it to 30 days. That was the best I could do. All set for a month long Europe Travel? No. Ten countries in 30 days seems exciting. Still, the itinerary was too problematic to be executed. The savings in flight tickets, covering all of Europe in one single trip were outweighed by the total trip cost. The accommodation, food , travel, sightseeing tickets for 30 days required a minimum of 4000 USD (350000 INR). The total cost of trip including everything came around 5000 USD. I was planning this for my honeymoon, So I required 10000 USD for a couple for this 30 day Europe extravaganza. The itinerary was good. It included each of my dream destination. But it was not affordable. Also, it was difficult to manage 30 day holiday for both of us. Therefore, I postponed this Europe itinerary for some other time. I went to Turkey for 12 days on my honeymoon in Dec 2012. Though Turkey was great, childhood dreams of Europe remained unfulfilled. I tried to cover ten European countries in one go. I ended up with an 30 day itinerary. The itinerary was too crammed up and seemed inconvenient. So, I decided to go for a shorter Euro Trip. How much short? Me and my husband could take a holiday for three weeks at that time of the year. So, we decided to keep the Euro Trip for 21 days only. I dropped six countries from my original Europe travel itinerary. I made the plan more relaxed. My list had Spain, France, Rome and Switzerland at the end. I questioned myself why did I want to cover everything at one go? Just to save on flight or because there was single visa. I realised I could enjoy Europe in bits and pieces. Instead of one lifetime European holiday, I opted for three magnificent European holidays. I traveled the first part last year. It costed me 1250 USD for one person. It was affordable for me. I am happy that I lived at least one third of my European dream. Had I continued to save 10000 USD for the big Euro Trip, I may have never made it all my life. Something is better than nothing. With one Euro Trip behind me, I have learnt quite a few things. I am more confident. I would be able to plan the next Europe Travel five years later. If you have been planning for a perfect Euro Trip for a long time, I suggest you to go for it now. I am sure that this post would have motivated you. If not, here’s some photographic motivation for Euro Trip. Some people may argue that few tour operators offer more than twelve countries in less than two weeks for around 3000 USD per person. However, I feel that Europe Travel of tour operators are too crammed up and uncomfortable. I would be updating a post soon on why i would never choose a tour operator for Europe Travel. Have you postponed your Europe Travel like me? 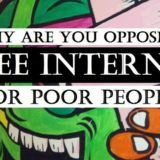 What are your views on this post? 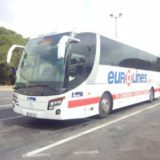 Will you go for Euro Trip earlier than you have planned. Let me know your view and opinions through comments. I look forward to read them. awesome post and totally agree with you Pooja! It ain’t as bad as people make it out to be.. I’ve been able to plan some of the most exotic Europe vacations at a decent price point… in fact a befitting analogy is buying diamonds 😉 Cheers! Yes Archana, you are right. And I love diamonds too. Great post! A must-read for anyone dreaming of Europe – I am certainly one of them! Thanks for the true picture and the much-needed motivation. Thanks Renuka for the appreciation. I am happy that if this motivated such a seasoned traveller like you. Great points here, my second trip to Europe I made the major mistake of trying to fit in too many countries. We spent most of the trip on trains or in train stations. I completely agree about splitting it up into multiple trips – you did great on your budget too!! Thanks Katie for your views. I too made a few mistakes during travels. On my first international trip I booked three back to back flights Delhi – Moscow, Moscow- Istanbul and Istanbul – Izmir all in one day, on the first day of my honeymoon. The first flight itself got delayed by five hours and I missed the other two flights. Somehow, we ended up in Izmir 12 hours later. Then, we all learn from our mistakes too. A must read for anyone who is dreaming of Europe tour. I am certainly one of traveller who loves to visit different places. Thanks for this awesome blog post. I Just found it on pinterest and i will share it too on my google plus and twitter.